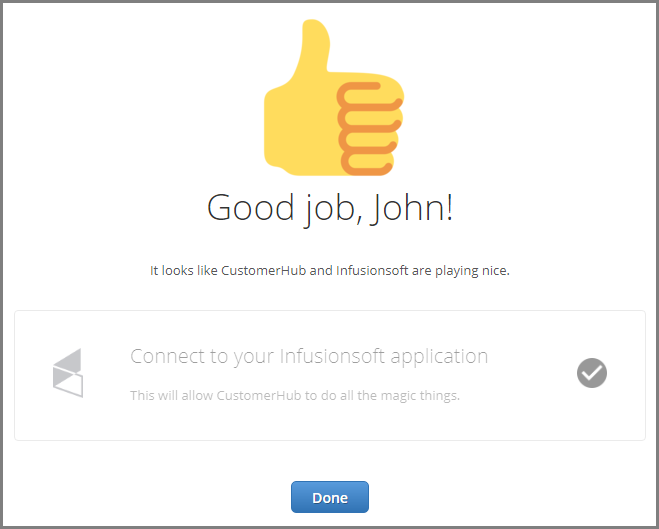 In the unlikely scenario of the API connection between your Infusionsoft and your CustomerHub application is disconnected, We will prompt you to re-authorize the integration. Click "Reconnect your Infusionsoft application"
Select click allow or the application to authorize IF you have multiple Infusionsoft apps. Note: the application selected must be the previously authorized app.